Located in Saharanpur Road, Treebo Grand Legacy is 2.7 km away from the Dehradun Railway Station and 3.4 km away from ISBT Dehradun. The hotel has an in-house restaurant serving North Indian food, a rooftop cafe, and two banquet halls. The rooms are fully air-conditioned and furnished with amenities such as free Wifi, a TV, a wardrobe, a luggage shelf, a sofa chair, a coffee table, a heater (on request), intercom facility. The an ensuite bathroom provides running hot/cold water and toiletries. Deluxe/premium category rooms come with a mini-fridge as well. All rooms permit smoking. A complimentary breakfast is included. 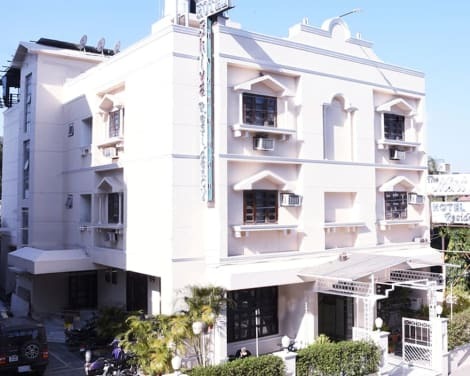 Expect facilities such as laundry service (chargeable), pantry, on-site parking space, a travel desk, and room service. The Jolly Grant Airport lies at a distance of 31.1 km from the property.